Rainbow Riches Pots of Gold review - 3x bonus games & fixed high pots! Rainbow Riches Pots of Gold is one in the line of the several different slot games that wear the name of Rainbow Riches. 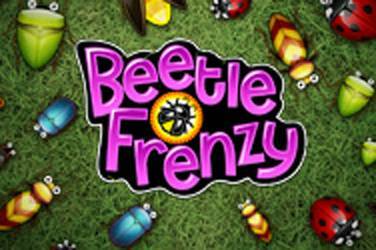 If you have played online slots, then chances are that you have seen this game at some point. Perhaps you have even played it. 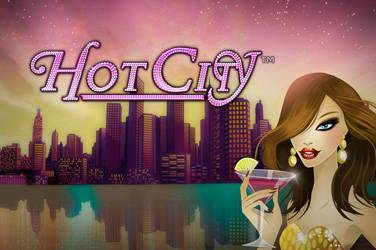 This game was originally created for the land-based casinos. It’s there that it has reached great success. 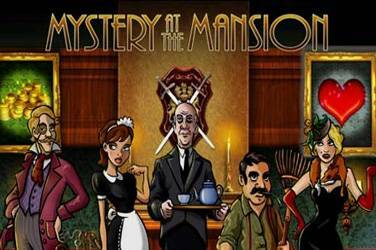 Since then, Barcrest has taken upon itself to translate this game into an online slot version. And out of this idea came the series of games that go under the Rainbow Riches name – including Rainbow Riches Pots of gold. The game has some pretty basic features and it serves as a good way to enter the field of slots. It features the classic 5 reels and 3 rows. There are, in total, 20 different pay lines. And you can typically place different-sized bets. First of all, the lowest bet that you can wager is 0.01 on a line – in total, 0.20 coins. The most you can bet is 25 coins on 20 lines, which goes for 500 coins in total. There are, of course, intermediary levels between the two extremes. You can feel free to pick whichever one you would want. There are several symbols in the game. The standard, low-value symbols are A to 10. Then there’s the Rainbow Riches symbol and the wild symbol. And then come the special symbols. These are the wishing well symbol, the pots of gold symbol, and the road to riches symbol. All of these symbols can turn up on all 5 reels – with the sole exception being the pots of gold symbol. This symbol can only come up on reels 2, 3, and 4. Again, the Rainbow Riches Pots of Gold game is a classic slot game. It has no special rules that will make things complicated. This means that the casual player will be the biggest beneficiary of playing this game. That being said, if you would rather prefer to play something a bit more complicated – then we suggest that you find another game of the Rainbow Riches franchise. 888 Casino is one of the oldest online casinos. It has been here for decades, and today it’s one of the most respected online casinos. That being said, this casino will give you the opportunity to play some free slot games. You will get a generous welcome bonus of 30 free spins. Some casinos demand that you deposit some money to get this bonus – but not 888 Casino. Here you will only need to register an account of your own and you’re good to go and play Some Rainbow Riches Pots of Gold. 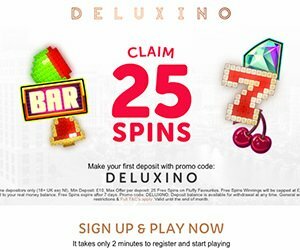 Kong Casino has a free spins welcome offer set in place. You can play Rainbow Riches Pots of Gold in this online casino, too. Kong Casino has a small welcome no-deposit free spins offer. 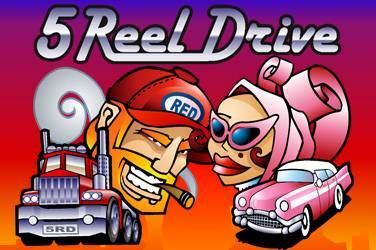 If you create an account, then you will be rewarded with 5 free spins. Again, this may not seem like a lot – but consider for a moment the fact that it’s an absolutely free prize that you get. Next in line is the so-called Casumo Casino. It’s here that you can get 20 free spins. But if you wish to get the free spins at Casumo, then you will have to be a resident of the United Kingdom. If you aren’t – then you won’t be able to get this bonus. But don’t hesitate to use this offer and play some free Rainbow Riches Pots of Gold if you do happen to reside in the United Kingdom. Ladbrokes Casino also has the no-deposit free spins welcome offer for the new players. So, once you create an account at Ladbrokes Casino, you will automatically be rewarded for it with 20 free spins. You can play Rainbow Riches Pots of Gold here – this should go without saying. Ladbrokes is a big name in iGaming – you’re likely to have a lot of fun here. Monster Casino offers a really big welcome bonus for the new players. This bonus comes in the form of incredible 50 free spins. You can then use these free spins on whatever slot game you want to – including Rainbow Riches Pots of Gold. Again – you don’t need to make a deposit to get this bonus offer. All you need to do is create an account – a process that typically doesn’t last more than a few minutes if you know your way around it. Finally, 777 Casino features a 77 free spins no-deposit welcome bonus offer. No matter who you are, we suggest that you visit this casino and use this fantastic offer on the slot games – including Rainbow Riches Pots of Gold. As you can see, there is a number of online casinos where you can get to play Rainbow Riches Pots of Gold for free. All you need to do so is to create a free account in a very simple process. Some of the best options for this are to be found in our list above. However, there are others that we have missed out on mentioning. If you want to – you could do some research of your own on the best casino no-deposit free spins welcome bonus offers on the internet. What made this game so popular is the fact that it offers a number of different bonus games. We have already mentioned the bonus symbols that you can find in the game. These are the wishing well symbol, the road to riches symbol, and the pots of gold symbol. What you need to do in order to activate the bonus games is get three or more of the individual scatter symbols on any given spin. So, if you get the wishing well bonus symbols, then the game will stop for a moment and you will be given a choice. The choice that you will need to take is one of the wishing wells on the screen. All of them offer a variable level of multipliers. The most you can make out of this bonus offer is an incredible 500x multiplier. Then comes the road to riches bonus game. If you get three or more of these symbols, then you will enter the Road to Riches bonus section. You will need to guide a leprechaun in a field on the road to riches. Every step of the way is laden with a multiplier – the multipliers increase as you climb up the road. Again – the most you can get with this bonus is 500x, much like the wishing well bonus. There will be a spinning wheel next to the leprechaun in this game. You will need to spin it and hope that you will get anywhere from 1 to 6 steps on the road to riches. There are two options for you to fail and get back to the original game. If you’re unlucky with the spinning wheel, then you will still retain the multiplier bonus that you’ve got. Finally, we have the pots of gold bonus feature – the namesake of the game. This bonus feature holds no surprise in the biggest bonus prize that you can take out of it. If you’re lucky enough, you will again be able to get a 500x multiplier of your bet. In this bonus, you will see a dancing leprechaun with pots circling around him. There are bronze, silver, and gold pots. All of these different pots offer different prizes – the aforementioned 500x multiplier being the biggest prize you can get. In terms of the bonuses, we think that Rainbow Riches Pots of Gold makes things interesting by introducing three different bonuses. However, the Wishing Well bonus game and the Pots of Gold bonus game aren’t very innovative. The Road to Riches bonus is very fun, though. It builds up the excitement and it’s a very interesting take on the tried and tested bonus formula. The prizes of the bonuses are also big – albeit non-innovative. If you want to get some Rainbow Riches Pots of Gold free play, then you’ve come to the right place. This is where you will be able to play Rainbow Riches Pots of Gold for absolutely free. 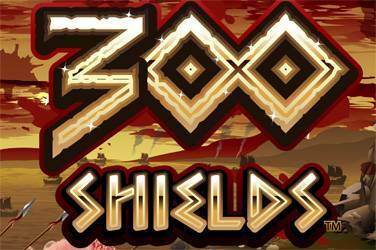 We’ll provide you with a demo version of the game below – we hope you will enjoy it. The demo will help you get to learn some more about how the game works. The caveat is that you won’t know what the game is really like until you invest some real money in it. So, if your intention is to play the game and see what it’s about for real – then we suggest that you try and make a small deposit in some casino that features this game. Since this is a highly popular slot game – you will have no problems in finding one such casino where you can play Rainbow Riches Pots of Gold. Different slots have different levels of Return to Player rates pre-programmed into them. The industry standard is 95%. This means that for every $100 that the player invests in the slot game, he or she will get back $95. It gives the casino an edge of 5% over the player. But it’s important to note that this only goes for the long-term playing of a game. It’s a theoretical return to player rate. In practice, players can lose or win – but in the long run, it evens itself out – and the casino will be 5% richer than the average player. So, where does the Rainbow Riches Pots of Gold RTP rate stand? It stands at dead center – at the 95% mark. This makes Pots of Gold neither a bad game to play (in terms of low RTP) nor a particularly generous one (in terms of high RTP). It’s average in every way. There aren’t any Rainbow Riches Pots of Gold cheats that you can involve in the game for bigger wins. What you should do is exercise caution when playing this game. It’s so good that it can get rather addictive with time. Different people have different levels of tolerance for gambling. Always make sure that you keep yourself in check and that you don’t over-gamble. Also, a good thing to do would be to read through the bonus terms and conditions at the online casinos that feature this game. You will do well to get to know them as they can influence how you will be using the bonuses and can bring you a nice little side-sum of money for free. 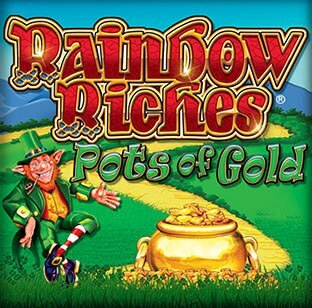 Rainbow Riches Pots of Gold is one of the simplest games in the Rainbow Riches franchise. Some people will be deterred from this – and some people will be attracted to it. After all, in a world where everything gets more complicated and flashier, there are many people that wish to get back to the old school play some good-old-fashioned classic slot games. In this sense, Rainbow Riches Pots of Gold is a great choice. It’s a very simple game with three different bonuses that can bring you a 500x multiplier each. It has the classic 5 reels 3 rows setup. You will get to understand how it works in a matter of minutes after you start playing it. We hope that you will have a lot of fun while playing this game – don’t forget to use the free spins no-deposit offers that we have mentioned above. 2 comments on "Rainbow Riches Pots of Gold: Unlock three bonus games to win big." A nice colourful game. I like the rainbow in the name.. Also the leprechaun. It’s a tempting attractive bonus for sure! Many selections of bonus games which is nice.